Are you dealing with a bothersome and annoying crack in your drywall that keeps on coming back? We all know that a crack in your walls can be a sight for sore eyes. These cracks are supposed to be easy to fix, but from time to time, you will be encountering a drywall crack that doesn’t seem to go away. A simple drywall crack can be easily removed using a few tools and materials that you can find in your local hardware store. 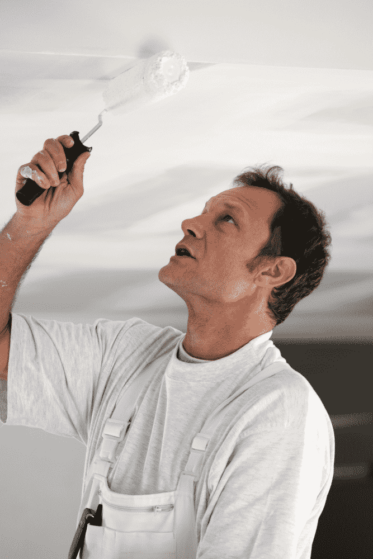 You need the same set of materials when fixing recurring drywall, but of course, you need to tweak your method a little bit. So how to fix a crack in the drywall that keeps coming back? Read this article and find out! Do you have everything you need for this process? If so, then let us get started! Step #1: Cover the crack in your drywall with fiberglass mesh tape. Apply the sticky side on the wall. Make sure to center the tape on the crack. If the crack is too big, you can apply multiple strips of the tape in the wall. 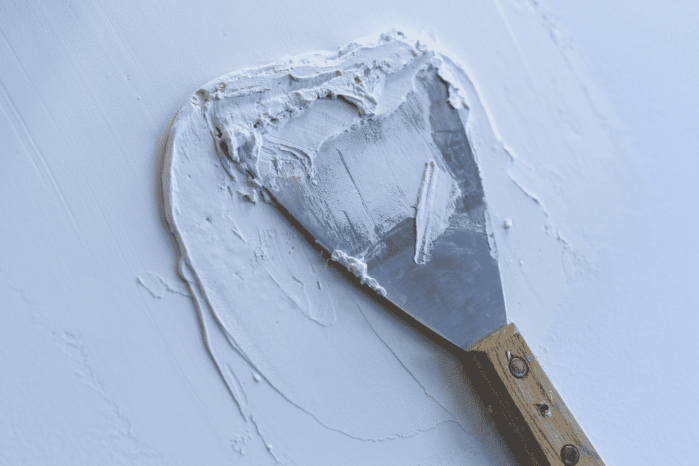 Pro Tip: Most drywall cracks are treated by simply adding the joint compound to the walls. This is one of the biggest mistakes that you will make since this compound will not be able to hold your walls together. The tape will help hold the walls together. Step #2: Apply a thin layer of patch primer over the drywall tape. Before you do this, we recommend that you lay down towels in the floor to cover and protect it from stains. This product has been proven to be useful in repairing drywall cracks simply because it already is a primer and joint compound rolled into one. Because of this, you do not have to apply those two products separately so it can help you not just to save money but time as well. This product is designed to help the tape adhere to the wall even better. Using a brush or other spreading tool you wish to use, apply a thin layer of the product over the mesh tape. Do not apply too much of it—only enough to fill in the crack. Pro Tip: When buying this product in the stores, make sure that the product is properly sealed. If not, the product will go bad and be rendered unusable. When adding the product to the wall, start by applying it in the middle part of the mesh tape. From the center, apply the product downwards. Afterward, start from the center and apply it in an upward motion. This simple method can help prevent the wrinkling of the tape. If the length of the crack is more than 2 feet, you will need to use a drywall knife to apply the primer. To use the knife conveniently, it is recommended that you put the product in a mud pan. Let the product dry for about half an hour. Step #3: Apply a second coat of the patch primer product. For the second application, you should use the drywall knife. The new coat of the product should be wider 2 inches to the right and left of the crack. Use the knife to smoothen the product against the crack. Pro Tip: Make sure to apply greater pressure on the side of the knife that is closest to the wall. Let the product dry again for around 30 minutes. Step #4: Sand the primer. Lightly sand the applied product in circular strokes. This movement will help the product to perfectly blend into the drywall. Step #5: Repaint your wall. After sanding the product, conceal the patch by repainting the affected wall. It can be quite tricky to figure out how to fix a crack in drywall that keeps coming back. But sometimes, it takes just a simple tweak to get it done. In this case, you just need to take advantage of the wonders that a mesh tape can do for you.